NEW YORK (WABC) -- The Yankees second season begins on Tuesday, and they hope the postseason run will not come to an end the same night. As the Yankees and Twins worked out at the stadium on Monday, both teams know they either win the wildcard game or go home. 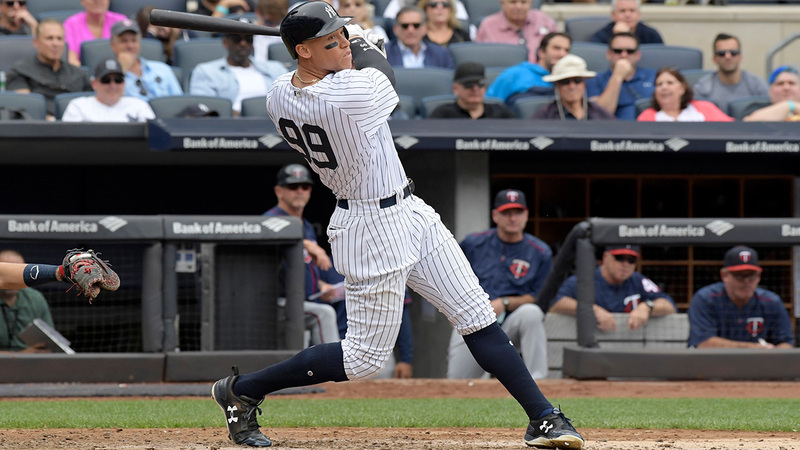 The Yankees will be heavy favorites to prevail, as the Bronx Bombers have the better lineup, the better starting pitcher, the better bullpen and home field advantage. The team just came off a three game sweep of the Twins in September, and on paper, they are clearly the better team. But that is also the scary part. Twins starter Ervin Santana is a 16-game winner and capable of throwing a good game, and all it takes it a bad hop or lucky bounce to eliminate a team from the playoffs. It will be interesting to see how these Yankees' baby bombers hold up to the pressure. Luis Severino has the stuff to shut Minnesota down, and a dominant pen has to come to the rescue if needed. The thought here is the Yankees get through Tuesday victorious and move onto the ALDS against the 102-win Cleveland Indians. The ride only gets tougher, but first, they have to take care of business Tuesday night.